Nattō (納豆) is a traditional Japanese food made from soybeans fermented with Bacillus subtilis var. natto.Some eat it as a breakfast food.It is served with soy sauce, karashi mustard and Japanese bunching onion. Nattō may be an acquired taste because of its powerful smell, strong flavor, and sticky, slimy texture. In Japan, nattō is most popular in the eastern regions, including Kantō, Tōhoku, and Hokkaido. 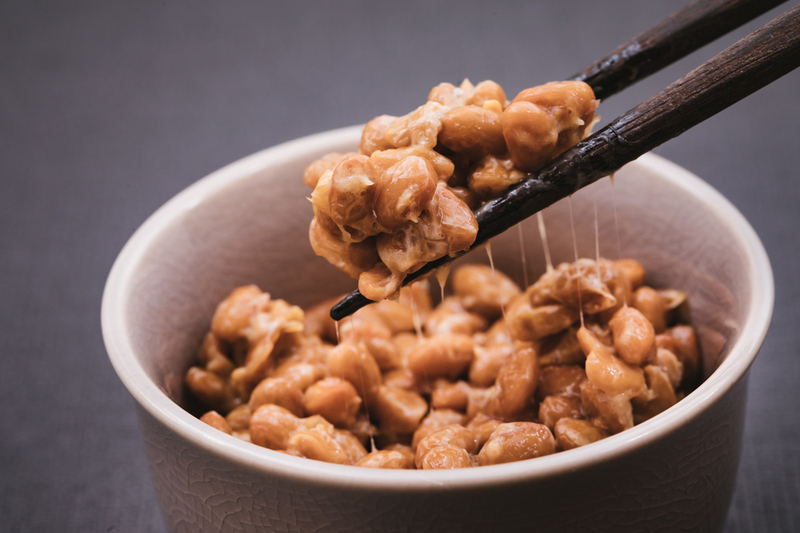 例文：Natto, or fermented soybeans have a slimy texture. Important is Natto has bad smell if you ask me.